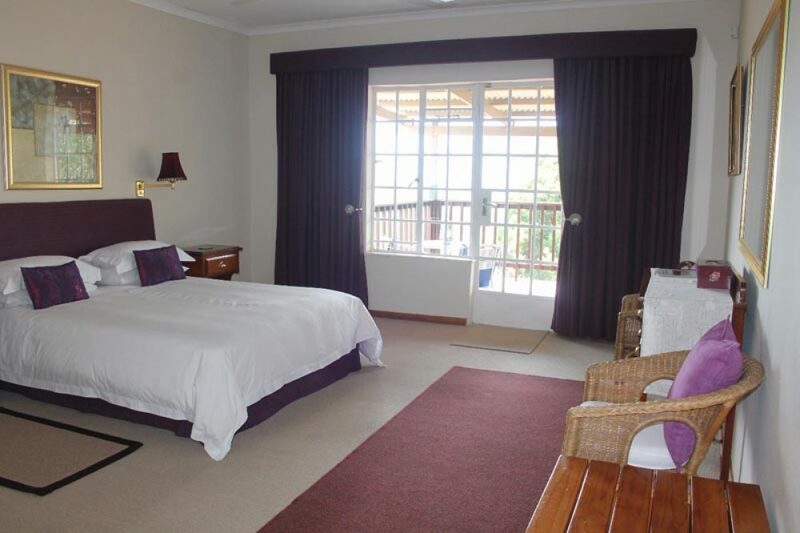 Set in the beautiful and peaceful residential area of Mount Anderson in the forestry town of Sabie, the guest house commands sweeping views of the Drakensberg Mountains, forest-clad slopes and the Bridal Veil Falls. 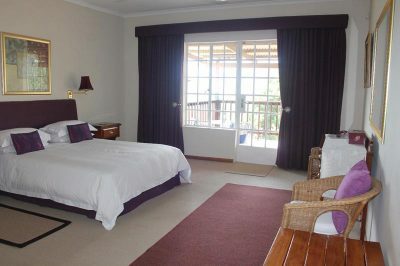 Four of the rooms have French doors leading onto a verandah where you have spectacular views of the mountains and the famous 70 meter high Bridal Veil Falls. The verandah is a place to sit and relax, whilst you enjoy a sundowner and watch the sun set behind the mountains.